Unique, original design, in the Southern Spanish tradition. Quick, light, full, rich sonority. Because it has pegs, has a light balance. Very playable. 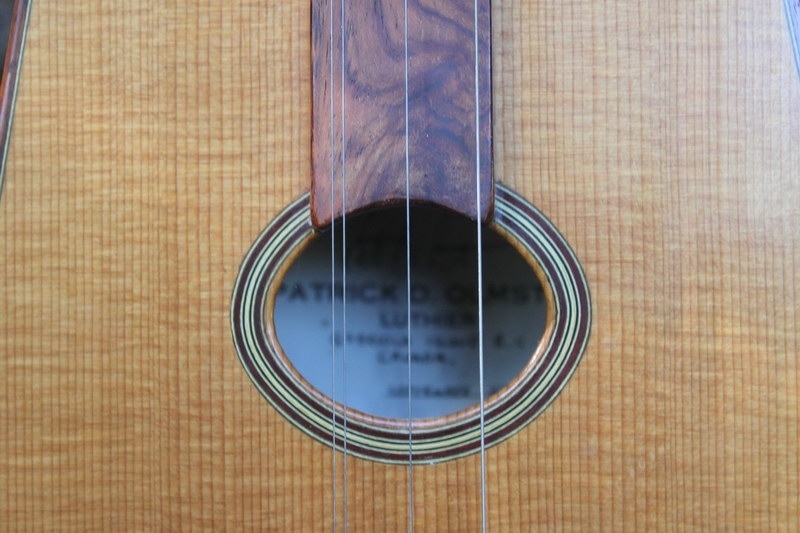 A player wanting the compositional possibilities of the additional low strings will find this guitar versatile. Well suited for music in the style of Egberto Gismonti and for interpreters of composers such as Coste and Mertz. 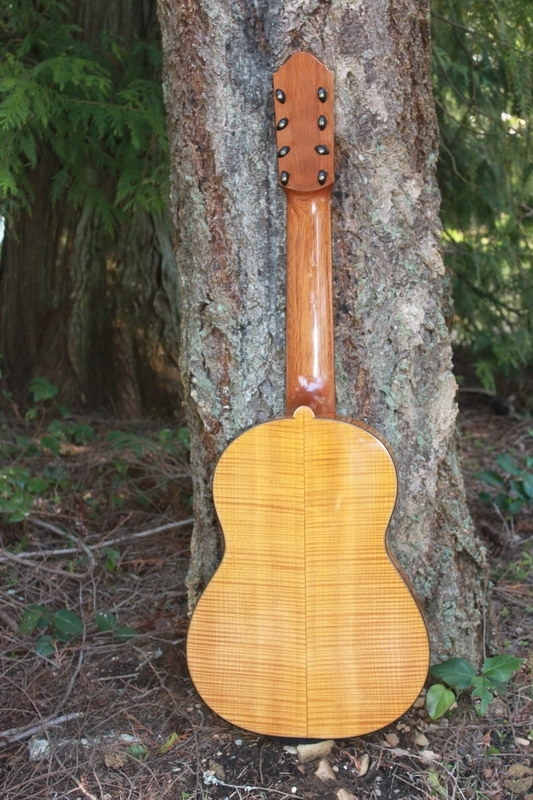 Interior: Spruce and Spanish Cedar. 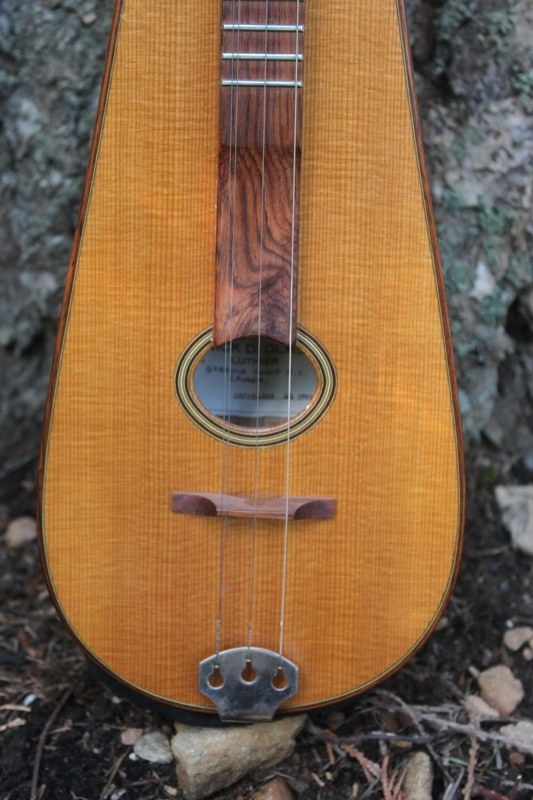 Also known as an Alto Guitar, this guitar is fun to play! Despite its light weight and diminutive size, this instrument has remarkable projection. Extremely bright, balanced, and punchy, with a quick attack. This little guitar has an incredible recording voice. 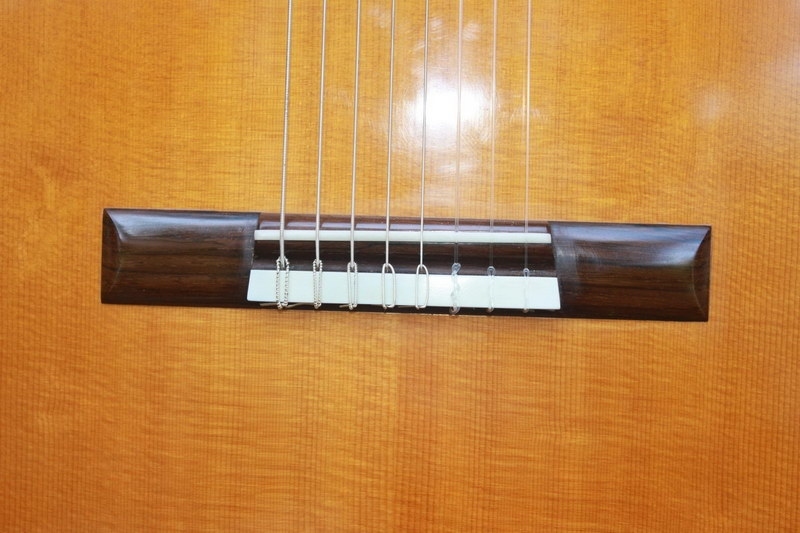 Conventional spacing makes this familiar for the classical guitarist. Can be tuned to B or A. Bonus points for its compact size and for the fact that it fits in the overhead storage in commercial aircraft: the case appears as though it is a viola. Rosette: Handcrafted inlay of Green Abalone. Heads: Extremely rare original Landsdorfers. 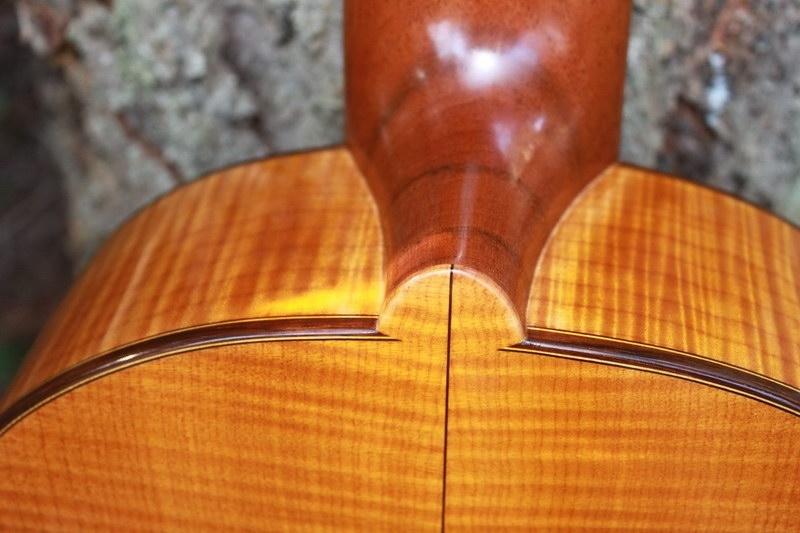 Bridge: Brazilian Rosewood with Green Abalone Heart tie block. 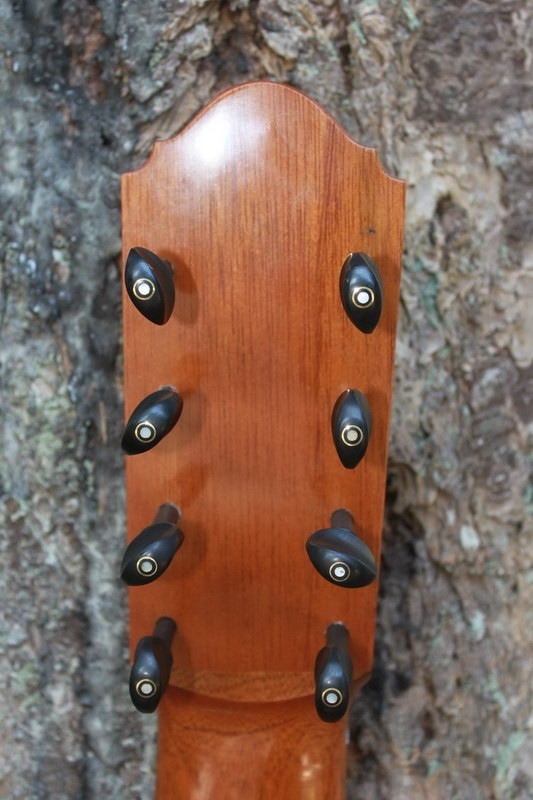 This 10 string one of a kind, instrument has a body design reminiscent of the Knudson Instruments of about a century ago, except this is nylon strung. 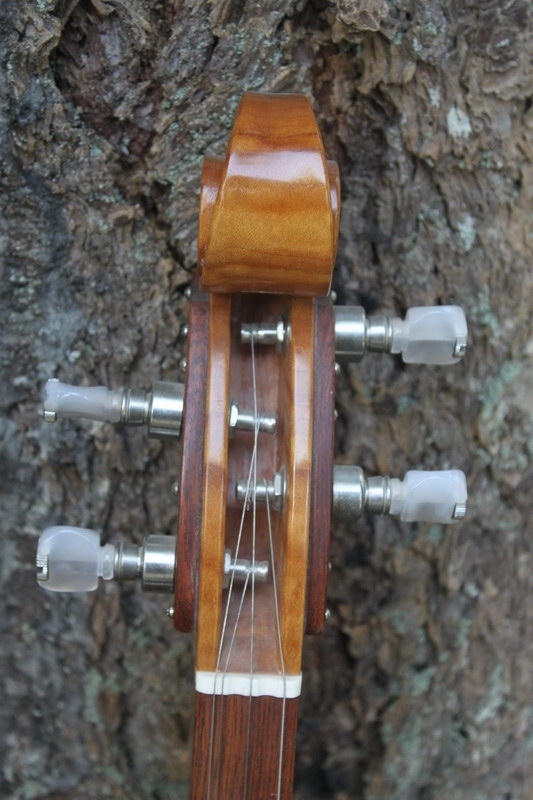 Has 6 regular strings plus 5 bass strings. 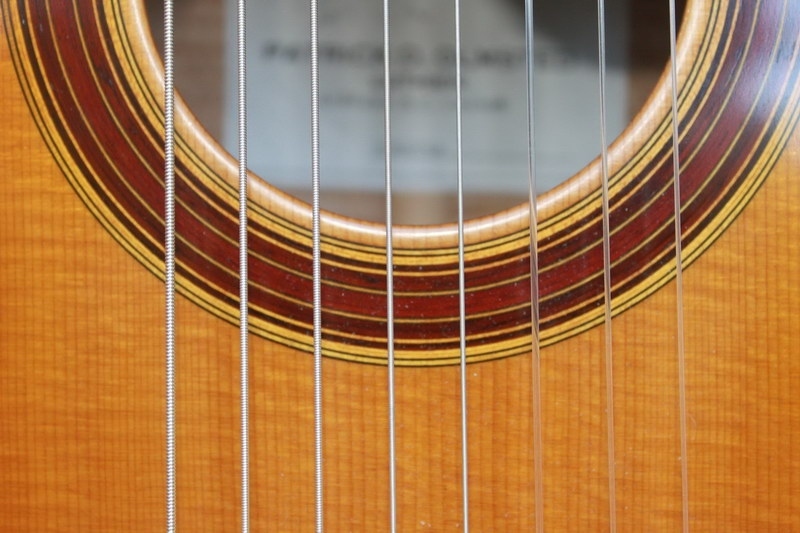 The 6 strings are conventionally spaced. 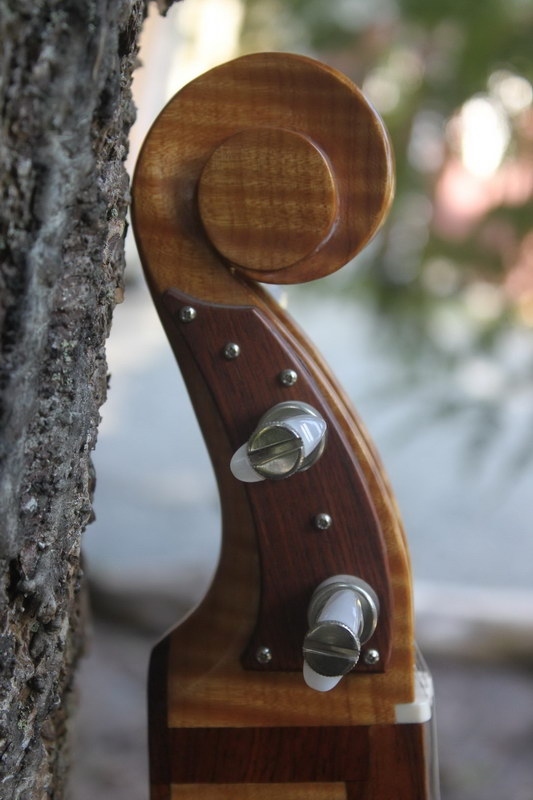 The slightly wider bass string spacing allows for comfortable access with the thumb. 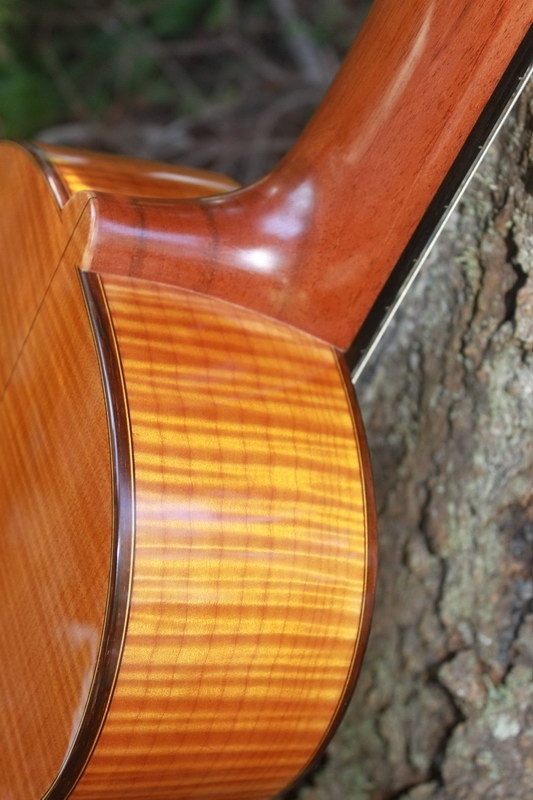 The expanded range and multiple tuning possibilities allow for a wide range of creativity. Very lightweight in spite of its size. 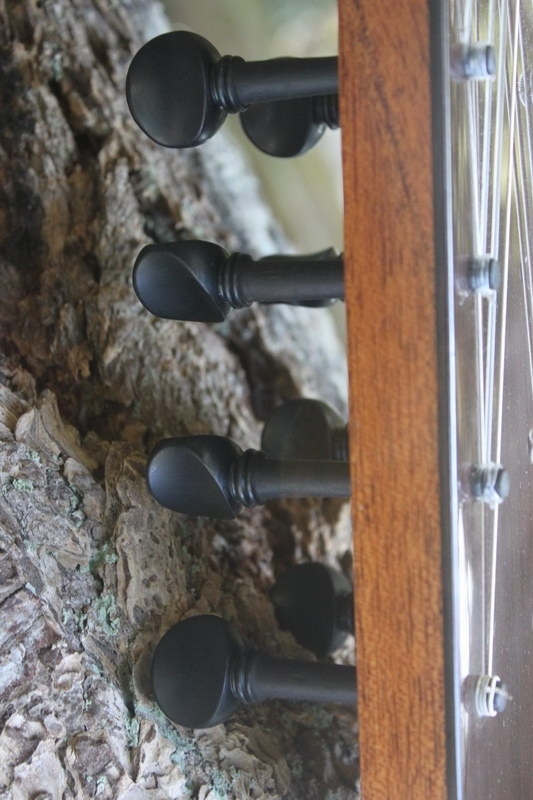 Lends itself to numerous tuning, compositional, and improvisational opportunities. Suitable for the musically adventurous. Rosette: Boxwood Padouk, Amaranth, Ebony. 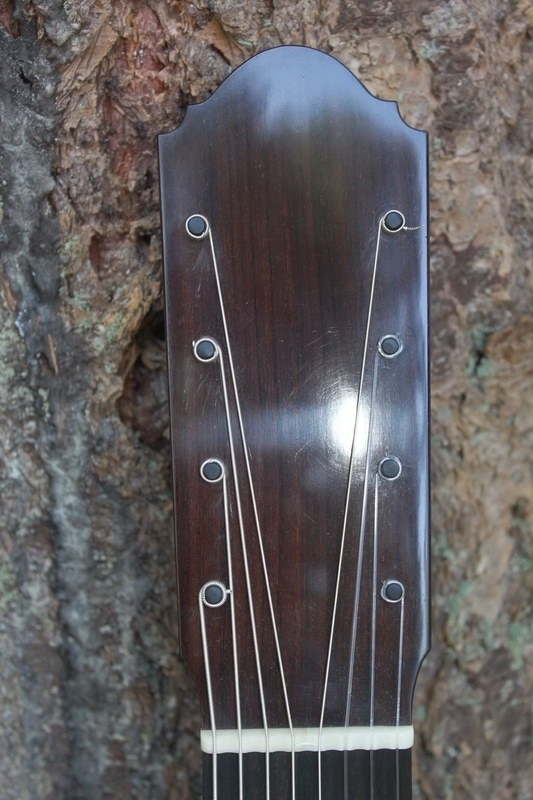 Bridge: Indian Rosewood with Ivory tieplate. 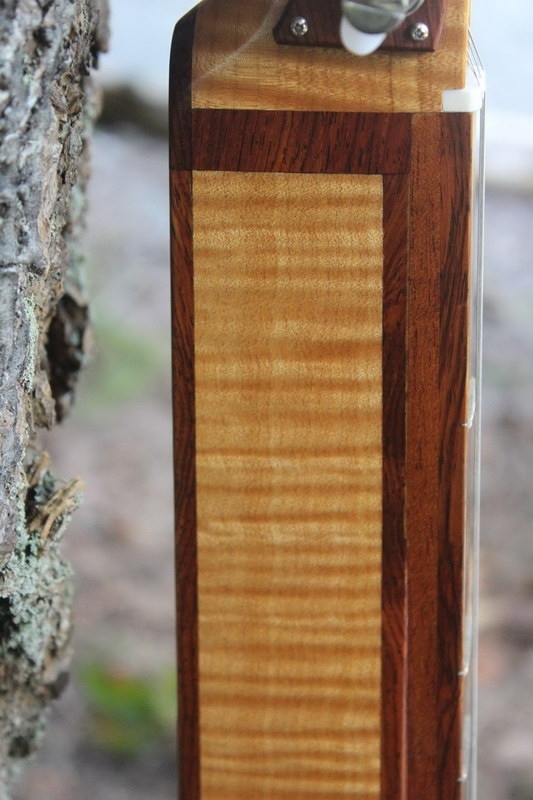 Interior: Spruce and Spanish Cedar . 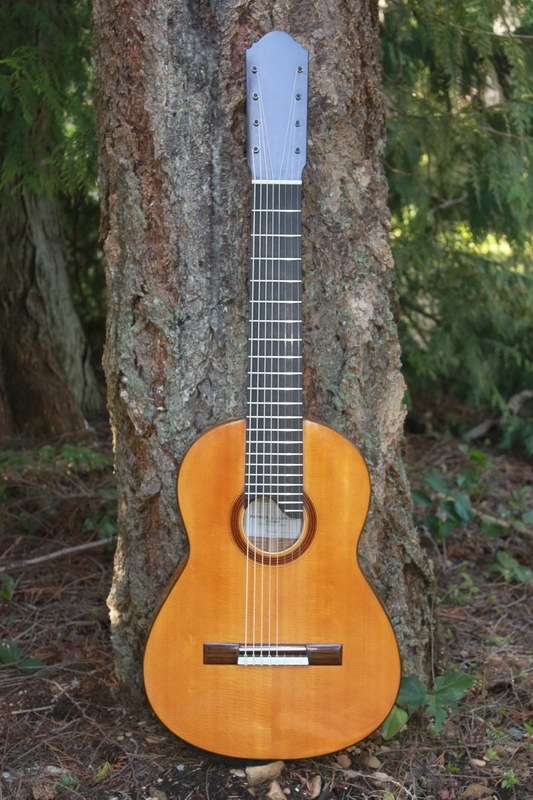 An internationally unique design, alto voiced, steel string guitar. 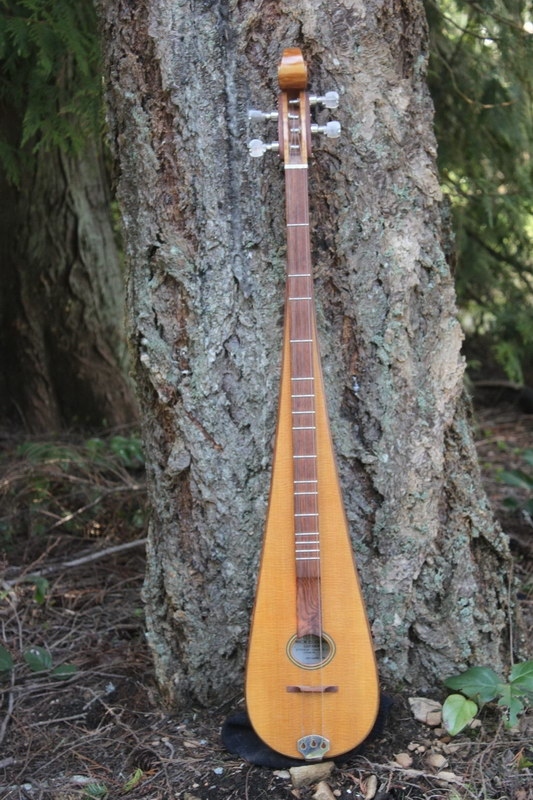 This instrument is a proto-type. The body is proportioned and tuned to sing in the range of a violin, soprano, or other high voiced melodic instrument. At a mere 800 mm length, (750 mm for its smaller cousin, the Gangsta Requinto), this instrument is very portable. 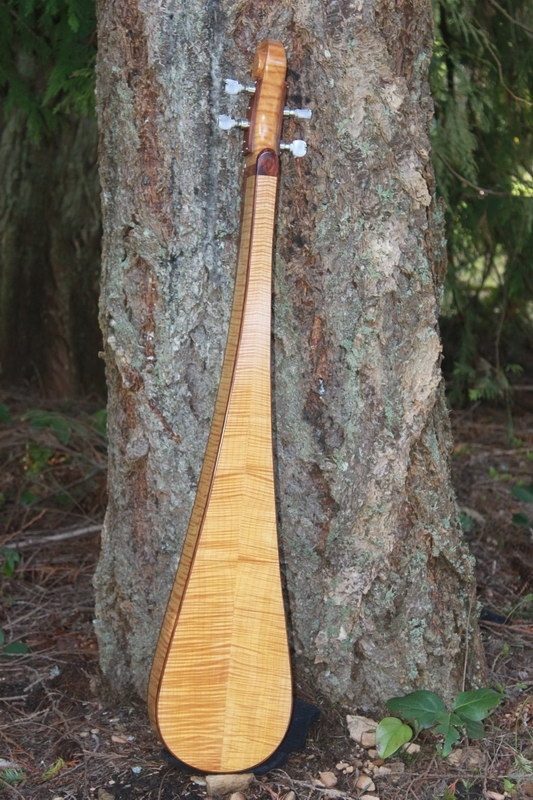 Dimensions: 800 mm overall length. 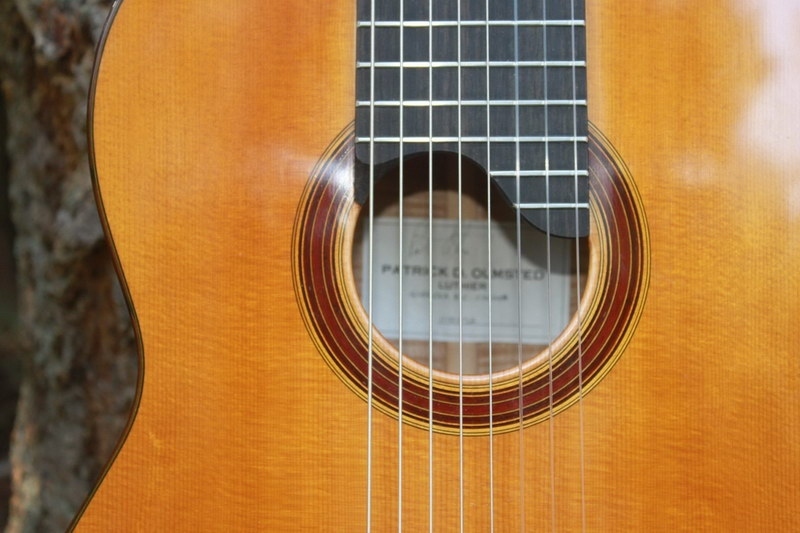 Traditional Flamenco sound. Very robust sound in the style of Barbero. Lyrical and bright. Built in 2000. 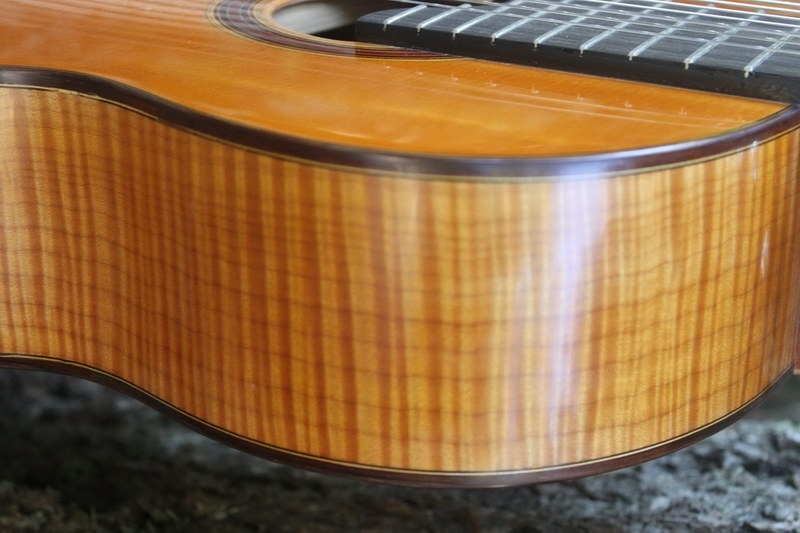 Soundboard: Fine La Roche Spruce. 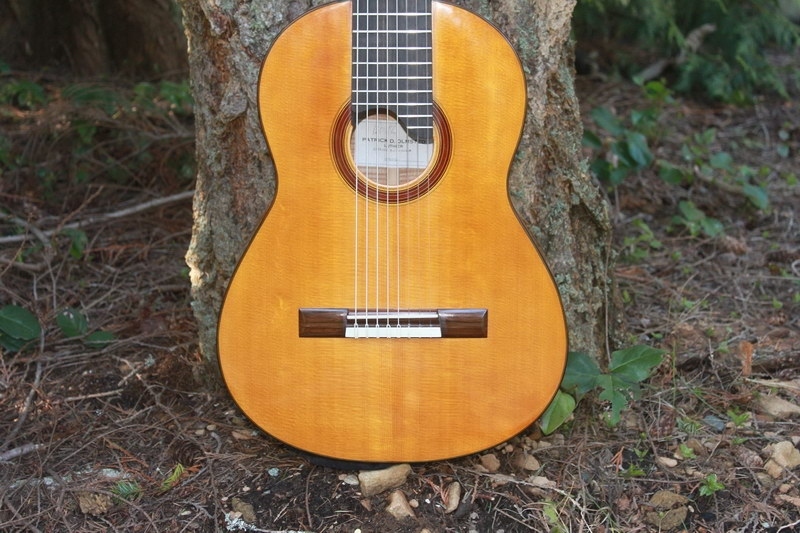 A small 20 fret concert classical guitar. This model is a specialty because of its size. It has an extremely lyrical and sweet sound. Unique design. Bright, lively sound. Has the ability of being plucked or bowed. Can be played standing or sitting. End pin can be installed. Rosette: Purpleheart Padaouk and Maple.